Cable modem Hitron BRG-35302 (supports RoHS) – is a user-class modem with aesthetically approved appearance and compact dimensions that can be used in flats and small offices. 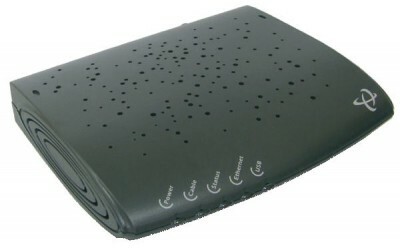 Modem has two interfaces USB and Ethernet that makes it universal at installation. It operates in cable networks with standards up to DOCSIS 2.0 and EuroDOCSIS 2.0 with European net of channels. It supports auto detection of standard at connection. Superficial decision for operators who use CMTS of different standards. 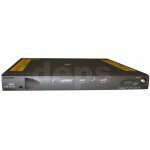 Modem provides wideband dynamic access with rate in direct channel up to 38 Mbit/s (for EuroDOCSIS 2.0 - 51 Mbit/s) and in return channel up to 30 Mbit/s. 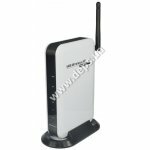 It maintains up to 32 IP addresses for deployment of local network. It displays main statistic network data using standard browser. On the front panel there are LED indicators of modem state. Additional functions include IP filtration to prevent from undesired traffic, as well as SNMP client to perform remote adjustment and modem configuration with the help of SNMP server. DES encoding will allow carrying out confidential data transmission by cable.